Children’s Therapy Centre is a Registered NDIS Service Provider, Plan Manager & Support Coordinator. We provide therapy services to children and young people who are NDIS participants. NDIS participants can use their funding for therapy services with us – at home, at school, at one of our centres or in the community. Please phone us for further enquiries or to make a booking. Medicare and Private Health Insurance rebates can be processed on the spot. Children’s Therapy Centre is a Registered NDIS Service Provided, Plan Manager and Support Coordinator. Available to you is a one stop shop of therapy services for your child or young people who is an NDIS participant. You can access Speech Pathology, Occupational Therapy, Physiotherapy, Psychology, Support Coordination and Plan management. As well as group programs such as Transition to Prep and Social Skills. 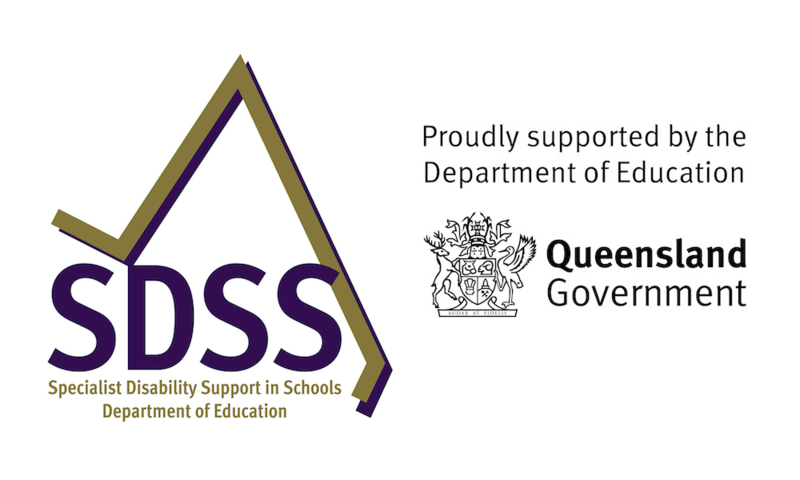 The Queensland Government provides funding to Children’s Therapy Centre to conduct the Specialist Disability Support in Schools (SDSS) Program. The program supports schools by providing funding to Children’s Therapy Centre to deliver services to improve access to and participation in the curriculum and the educational outcomes of eligible school-aged students with disability. The SDSS is delivered at the written request of the school based on the needs of the student to access and participate in the curriculum. If you are a Principal or Head of Special Education Services please do not hesitate to contact our Chief Operating Officer to discuss how the program can benefit your school. Children’s Therapy Centre offers individual and group therapeutic services in Psychology, Occupational Therapy, Physiotherapy and Speech and Language Pathology to support children with autism to develop appropriate skills. All our therapeutic services are evidence-based and highly effective. Families can access these services through a range of funding options outlined on this page. Funding is available on referral from a Paediatrician for children aged up to 15 years under Medicare if the child is assessed before their 13th birthday. This provides Medicare rebates for up to 20 visits. Children with an eligible disability (yes, there is a list) can access Better Start funding of $6000 per year (up to $12,000 in total) for early intervention services and treatments. The child must register before the age of 6 but can use funds until they turn 7. Children’s Therapy Centre is a Registered Service Provider. We provide Speech and Language Pathology, Occupational Therapy, Psychology and Physiotherapy. ‘Post-Better Start’ is also available on referral from a General Practitioner for children aged 7 to 15 years under Medicare if the child is assessed before their 13th birthday. Post-Better Start provides Medicare rebates for up to 20 visits. A chronic medical condition is one that has been present for six months or longer. You can access rebates for five visits per calendar year from our Occupational Therapists, Physiotherapists, Speech Language Pathologists and Psychologists. There is no list of eligible conditions. Eligibility for ongoing care from a multidisciplinary team is ‘deemed’ by the General Practitioner for complex conditions. Ask your GP if you are eligible. Most private health funds provide a rebate for our therapy services. The value of rebates varies between health funds. Quotes can be provided for special reports such as reports for legal purposes. General Practitioners can refer eligible clients for up to ten consultations per calendar year under a Medicare Mental Health Care Plan. We have several psychologists who can see parents, children and siblings under separate Mental Health Care Plan. Other funding is available for brokerage for post intervention programs, equipment prescription, vehicle modifications, therapy aids and other services.